Licehamr & partners Group offers support to investors who do not have their own development facilities. We help these investors at every stage of the investment process, from the selection of a real estate project to its actual realization and operation. Thanks to our extensive experience with various types of properties, we can significantly improve the quality of your project and its realization. A multifunctional building designed for a single tenant that already has two floors and a usable area 1,041 m2. 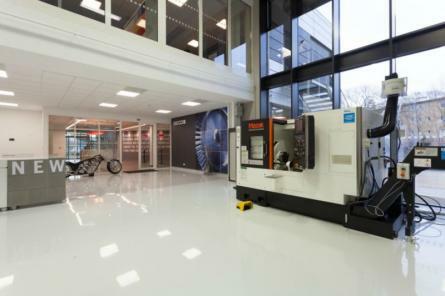 The complex already contains class A offices for 50 employees (with an area of 764 m2) and a 170 m2 showroom. There are 22 parking spaces on the property. The building has been realized as a category A energy saving structure that uses geothermal energy and features innovative construction technologies. 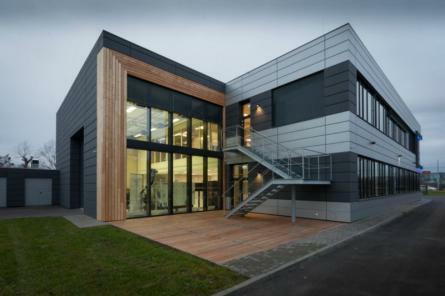 The building serves as headquarters for the international company Seco Tools CZ. A multifunctional building that has two underground floors and seven above ground floors. The developed area is about 10,000 m², of which almost 7,000 m² are offices. There are 42 underground parking spaces. 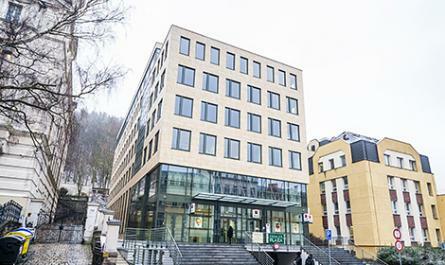 The building is located in a prime location between City Hall and the Karlovy Vary Circuit Court and is the headquarters for regional management of Komercni Banka. 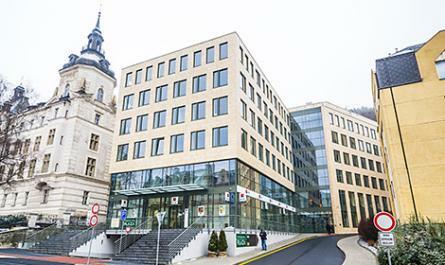 This multifunctional and administrative centre was created from the renovation and completion of construction of the Vinarske zavody buildings in Prague 9. As a developer, we participated in the first and second stage of this project. 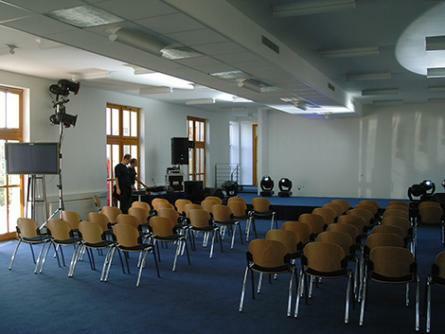 In the first stage, the original building underwent overall renovation and extensive repairs. In the second stage, three additional floors were added. 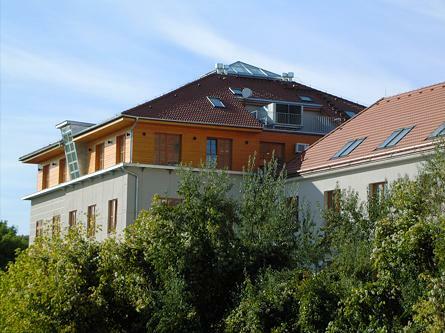 The four-storey building has a floor area of 4,100 m² and offers 52 parking spaces. The headquarters of Aquasoft is located here. The original Tovarnicka villa had been devalued over time due to special purpose renovations. It last housed a branch of Ceska Sporitelna bank. 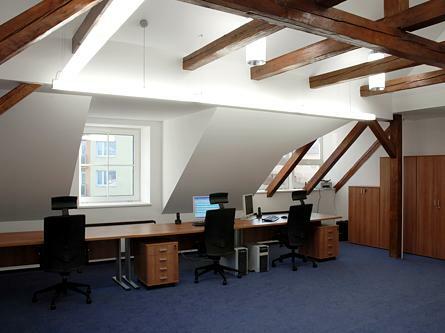 Our renovation partially returned it to its original condition and it became a multi-purpose commercial building. The building has four floors and a total area of 850 m² that stands on its own land. It features nine parking spaces and an area with safes. 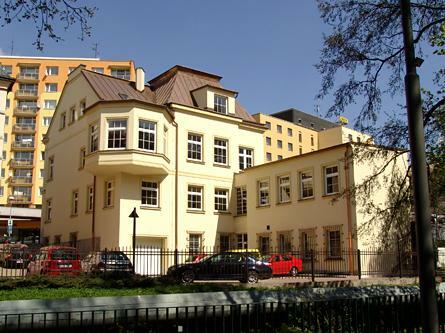 The building has a very good location that is close to the city centre.